One of the best things you can do to improve your health is to keep track of your nutrition, and the best way to know what you’re eating is to cook it yourself. Some people are born with a natural love and talent for cooking, but others may need to teach themselves the skills and patience needed to prepare delicious, nutrient-rich dishes. Wherever you are in that spectrum, know that with a good cookbook and/or a computer loaded with Pinterest recipes, you can "meal prep" like a champ and use essential oils to liven up even the most basic recipes. Just follow these simple principles as you get started. 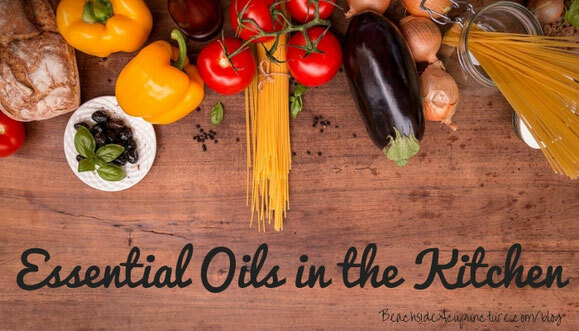 First of all, you need to know which oils to keep in your kitchen. As a reminder, if an oil is adulterated in any way - say with chemicals added to enhance aroma - then ingesting it can lead to health issues, but an oil that is only pure, high-quality essential oil should be safe to consume in small amounts. We trust and recommend Young Living because of its purity; if you're using products from another company, do LOTS of research into their standards to be 100% sure that their oils can be used internally. A few years ago, Young Living introduced the Vitality line so that the essential oils considered "generally regarded as safe" for ingestion by the FDA are easily identifiable. (Vitality essential oils have white labels and are meant for internal consumption.) While the contents inside the bottle are the exact same as a "normal" colored bottle, it's great to have Vitality oils nearby when you're cooking so you know you're grabbing an essential oil meant for internal use. Once you have your "spice rack" pulled together, keep in mind that quality trumps quantity. When an essential oil is 100% pure, it is very, very strong. 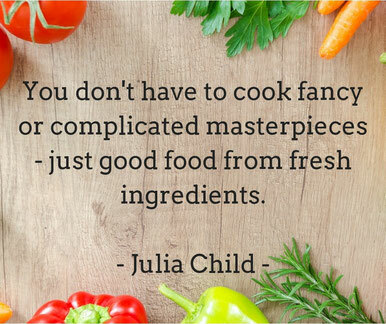 A little goes a LONG way, and this is especially apparent in cooking! For example, one drop of Young Living’s Peppermint Vitality essential oil is equal to 26 cups of peppermint tea, so how many drops would you expect to add to a recipe for mint fudge or brownies? You might need as little as one drop, so start with one and work your way up until you get the desired taste. When it comes to even stronger-smelling oils like Basil Vitality and Oregano Vitality, you may want to start by dipping the tip of a toothpick into the oil, mixing it in with the other ingredients, and then adding more if needed. Oils like these can overpower a dish, so always start small. Be creative with citrus oils. In general, citrus oils tend to taste a little more like the zest than the juice of their corresponding fruit, but that doesn't mean you can't add them in place of or in addition to juice. For instance, Lime Vitality + guacamole = delicious. Add essential oils near the end of cooking if possible to preserve more of the therapeutic compounds that are easily destroyed by heat, i.e. use Peppermint Vitality in the icing on brownies instead of mixing it in the brownies themselves and stir Basil Vitality into tomato sauce when it's nearly done. Find simple, bland recipes and try different essential oil combinations to liven them up. For example, make your own hummus by using fresh chickpeas and olive oil, and then flavor it with Lemon Vitality or Dill Vitality. You can do the same thing with a basic sugar cookie recipe, maybe adding Ginger Vitality, Nutmeg Vitality, and Lemon Vitality to your dough or using others depending on the season. Make up your own recipes based on what oils you want in your life that day. An easy way to do this is through dressings and sauces - for instance tossing a quinoa salad with olive oil mixed with Lime Vitality, Lemon Vitality, and Spearmint Vitality - or in beverages. Add Vitality oils to water, tea, or club soda to make regular drinks a bit fancier, but keep in mind that essential oils will pull chemicals from plastics and other synthetics, meaning you should ALWAYS use glass or stainless steel cups and bottles when doing this. Cooking is like a science experiment: You’ll have an idea of what will happen, but the results might not always be what you expect! Be careful with how many drops of oil you’re using, but also know that mistakes can sometimes work out very well. (The best lasagna we ever made involved accidentally spilling ten drops of Nutmeg Vitality into the ricotta instead of the intended three.) Keep a light heart and an open mind, and know that no matter how your dishes turn out, they were made with the best intentions of love and health.